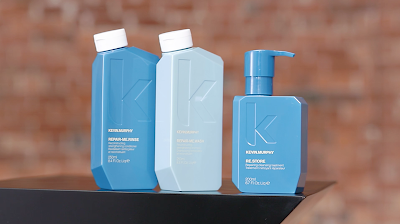 One of my absolute favourite beauty names to interview over the years has been Australian hair legend – and the creator of many of my must have hair products – Kevin Murphy. The affable super stylist always has a tip or two to impart and when he releases a new product, you know it’s been tried and tested by the man himself until absolute perfection has been achieved. One of my favourite haircare launches over the last twelve months or so was Murphy's REPAIR.ME line (pictured above). The Kevin Murphy brand is founded on a philosophy that you should treat your hair with the same care that you treat your skin, and the original REPAIR.ME trio, consisting of WASH (shampoo), RINSE (conditioner), and RE.STORE (repairing treatment), was very aptly named and designed to repair dry, damaged strands with nourishing superfood proteins and unique natural ingredients that bind to the hair. The WASH and RINSE are used together anytime you would normally shampoo and condition your hair, then perhaps once a week, swap out the duo for RE.STORE to give your locks a bit of a break. Now he’s added to the line with LEAVE-IN.REPAIR (below), which is nourishing leave-in treatment to repair and restore damage where it is most needed. It has been designed for all hair types, and I have been using it mainly on my mid-lengths and ends where my hair is a little more damaged due to its length. The results? Amazing, and I have even been able to go without any sort of styling products to smooth out frizz afterwards, which is definitely kind on the wallet. Key ingredients in the super luxe formula include Hydrolysed Keratin to promote strength and re-build the hair, Jojoba Seed Oil for its moisturising properties, Hydrolysed Green Pea Protein to repair, strengthen and moisturise and Rose Geranium, which contains antioxidant benefits and enhances the fragrance. Beautiful! So how do you use it? Just apply to damp or towel-dried hair and either leave to dry naturally or style as desired. 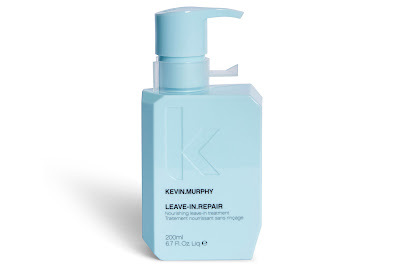 LEAVE-IN.REPAIR is in salons now, RRP $70.00 and yep, worth every cent.